A digital download. You roll a color and then get that piece of your rainbow to build your rainbow. You have color dice, number dice, and word dice. You also have a color rainbow and blank rainbow to build on. 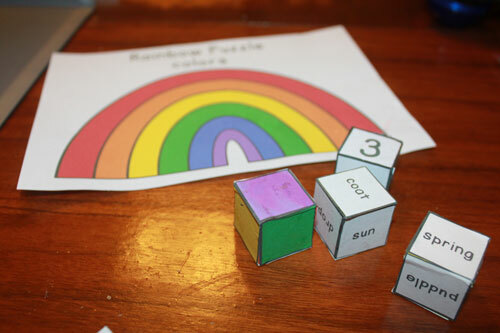 To play the game you first roll a color dice and a number dice. 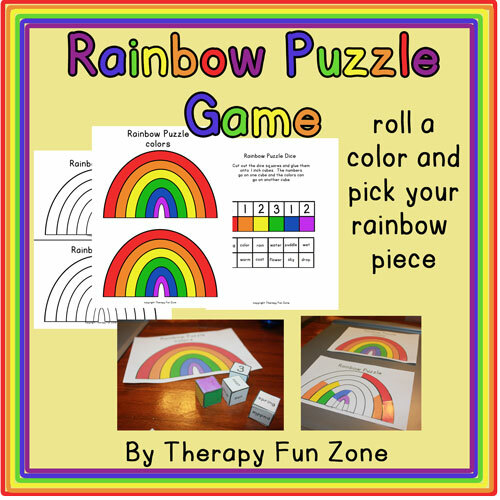 This tells you how many pieces of what color that you get to place on your rainbow. Get your pieces and place them onto your rainbow. To add some visual memory and writing into the game, included are word dice parts. When you roll the dice, you can include one of the word dice. 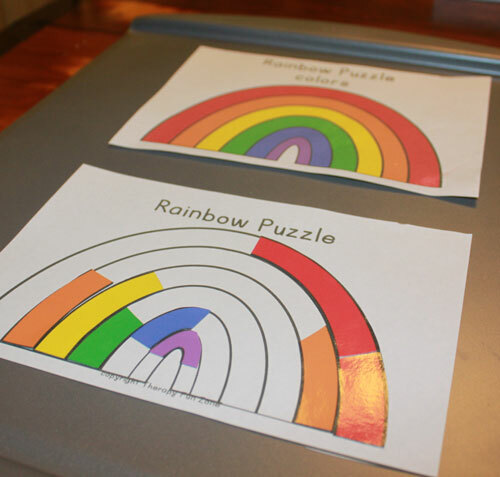 The student then has to remember what word he rolled while he is getting and placing his number of rainbow pieces onto the rainbow puzzle. This helps work on memory and visual memory along with writing as the student writes his word down. To incorporate the whole body I have the students roll their dice at one end of the room, remember their number, color, and word. Ride the scooterboard to the other end of the room, pick their colored pieces, scooterboard back, place the pieces on their puzzle, and then write down their word.